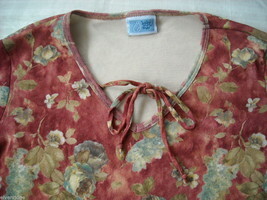 Two stretchy knit maternity tops size small. 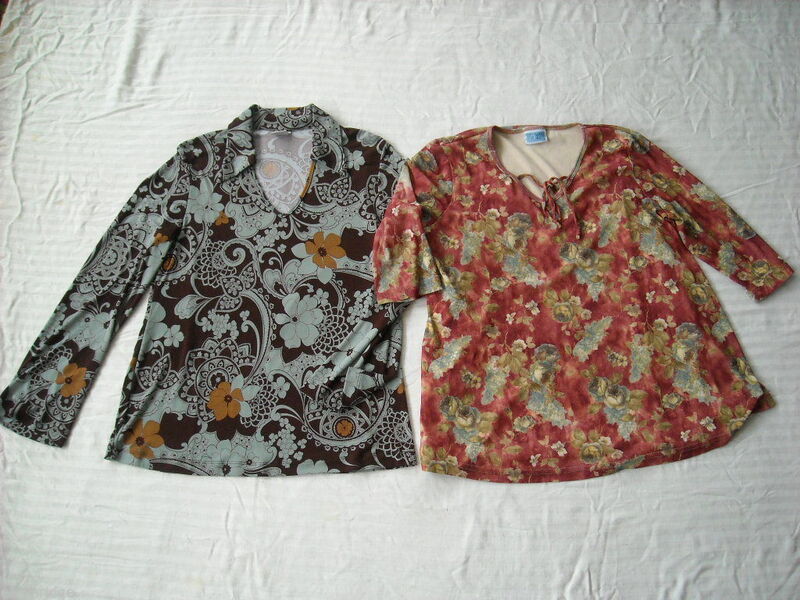 They are both colorful polyester prints. 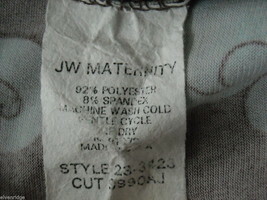 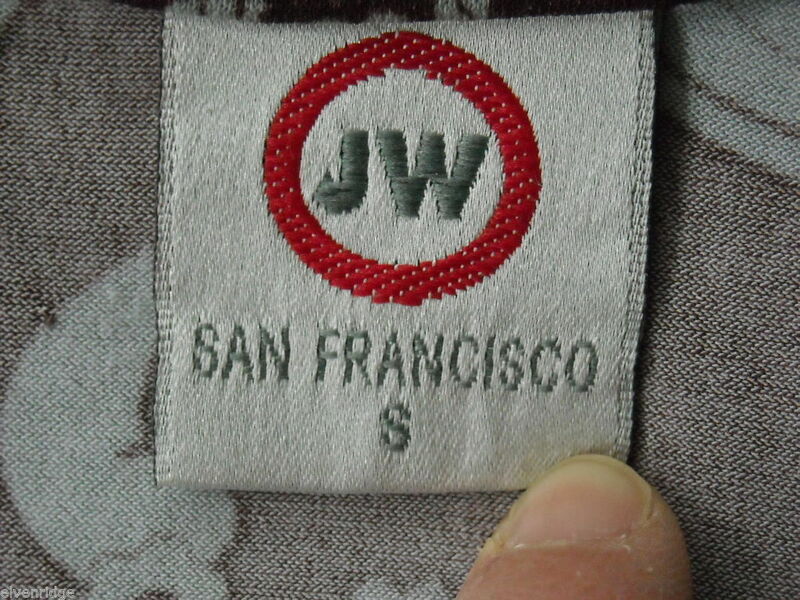 The first top is a JW San Francisco long sleeved v-neck collared top. 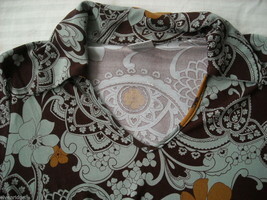 The print is maroon and grey with accents of tan and orange. 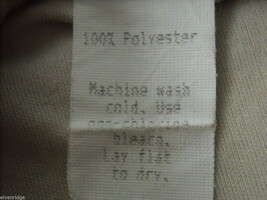 It measures 16 1/2" across the shoulders, 19" across the chest, 20" across the bottom, 23" sleeves and 25 1/2" in length. The second top is by Baby & Me. 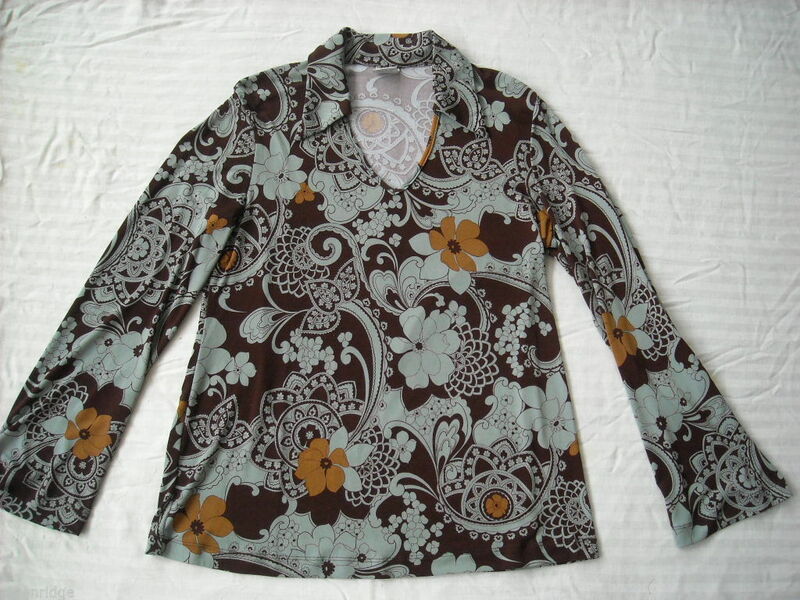 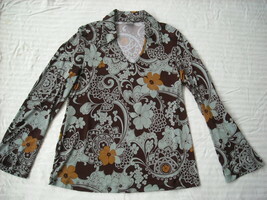 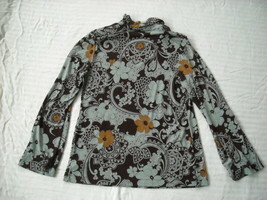 It is also a v-neck blouse that ties and the neck and has 3/4 length sleeves. 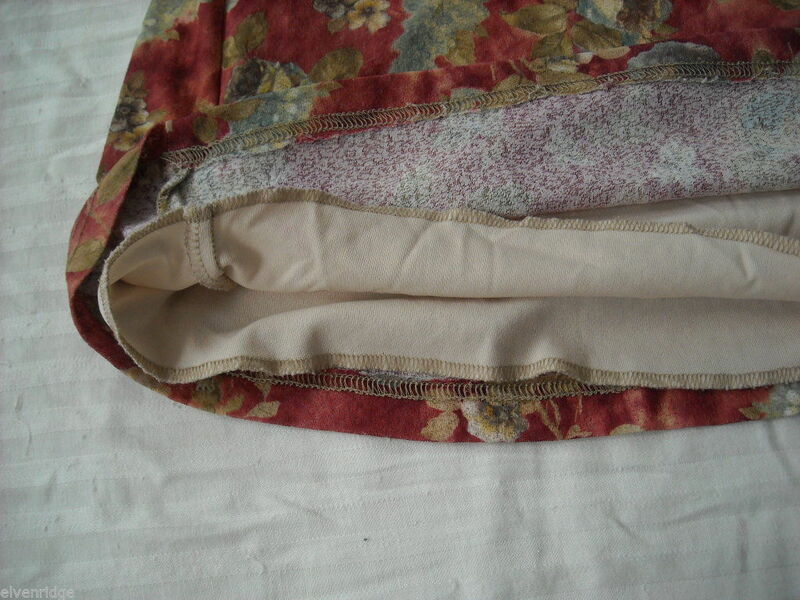 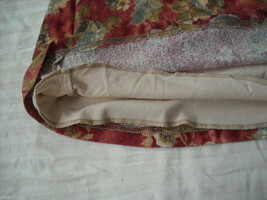 The bodice is actually two layers because of the lining inside. 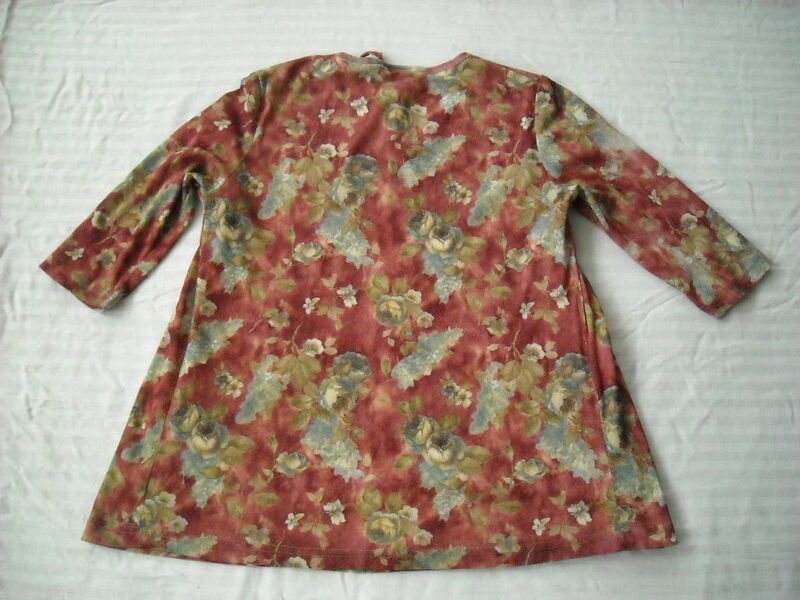 The pattern of this top is red with roses that are white, green and blue. It measures 15" across the shoulders, 20" across the chest, 25" across the bottom, 14" sleeves and 26" in length. 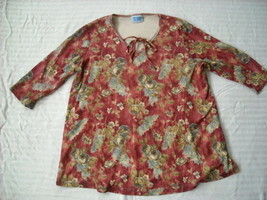 There is a slight pull on one of the sleeves in this blouse.